As Porsche owners go, we all know people who fit the enthusiast description. Some who even raise the bar. But how many Porsche people can claim to have owned an ultra-rare 550 RS Spyder? And how many of those flew to Germany to pick up one of the first 911s produced? The Sierra Nevada Region (SNV) of the Porsche Club of America happens to have such a person. Her name is Gail Patricia Bauderer, affectionately known by her Region’s members as Gramma Pat. 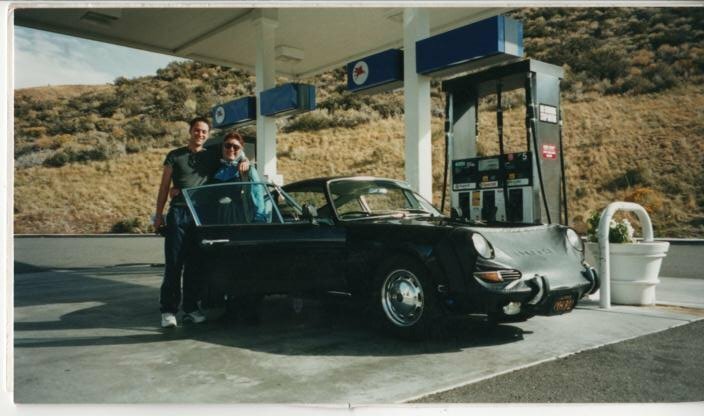 Pat’s life and Porsche ownership is full of love, loss, and lessons learned, paving new ground forward and looking back fondly. 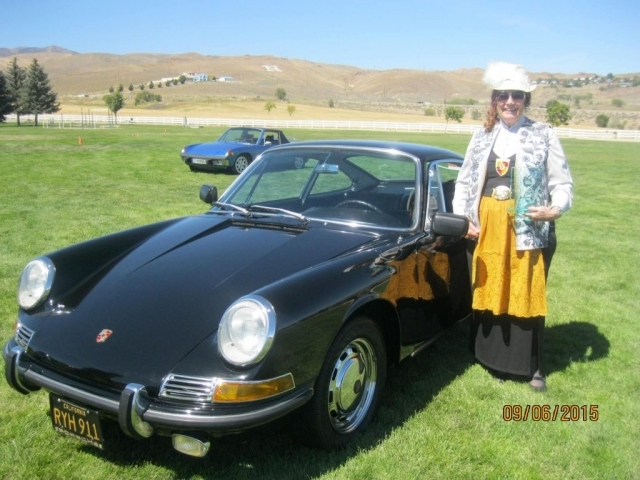 She now loves spending time at PCA events, sharing her experiences with newer Porsche owners. Sometimes newer by decades. 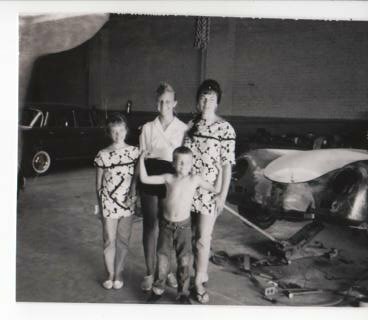 “That’s a neat little car,” Pat remembered saying when her husband, Fred Sebald, brought home their first Porsche in 1957 — a wrecked 1956 356. He had an affinity for the German cars that had started to arrive in the area due to the demand from the Hollywood socialites of the time. Conveniently, he also owned a body shop in Glendale, California, and was able to repair the car himself. 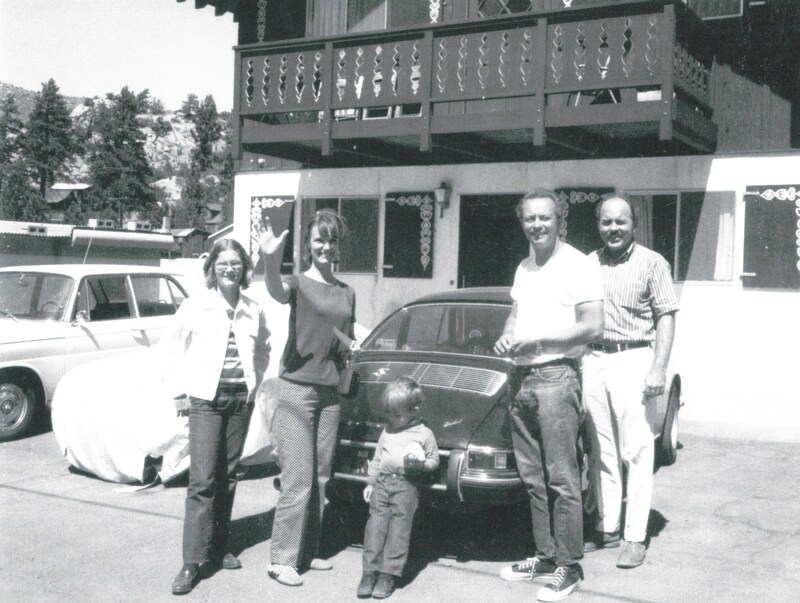 Eventually, Fred prepared it for competitive driving and “took off the restrictor pipe to make it louder,” Pat said. 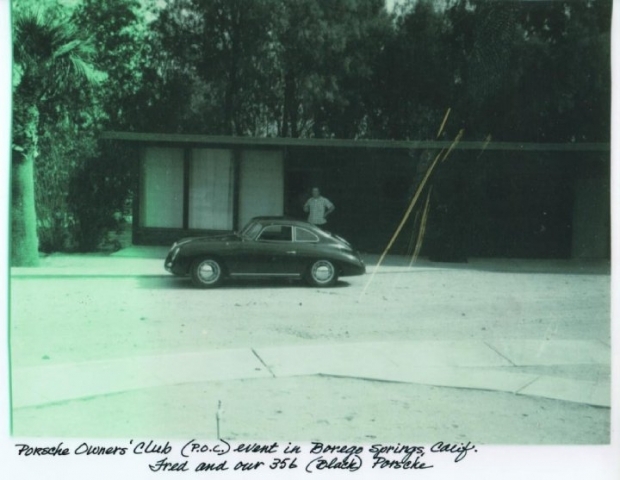 Pat and Fred’s wholehearted enjoyment of their Porsches led to their participation in the first Porsche enthusiast group, the Porsche Owners Club (POC) in Los Angeles. 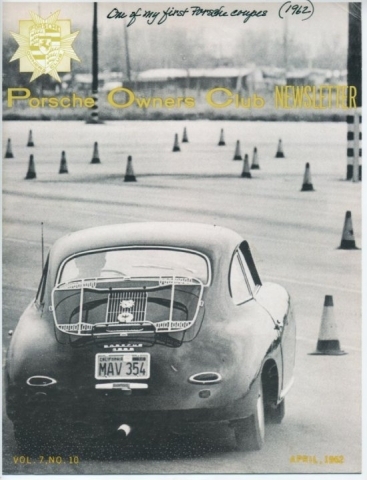 In 1961, the POC opened up a female driver category. 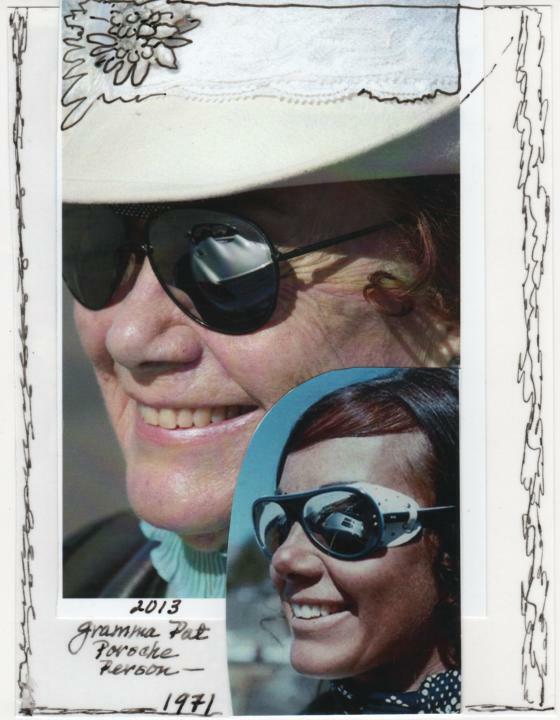 “I was in a group of the first women to drive competitively in the Hollywood and Los Angeles area,” she said, one of a handful of female pioneers in the male-dominated scene of sports car club racing. 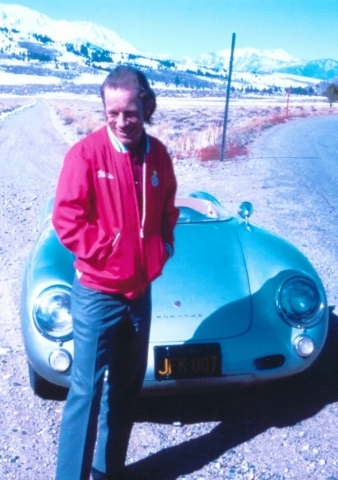 “Fred encouraged me to drive in the time trials, slaloms, and such,” pushing boundaries, as well as the 356, to their limits. 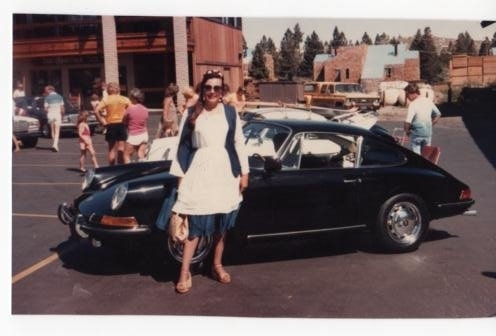 Pat and the other women entering the club’s competitive driving events were provided lessons from local race car drivers, including a few who went on to create history in Porsches. “George Follmer, Alan Johnson, and Miles Gupton were my race instructors!” Pat exclaimed. Pat and Fred spent many weekends competing. The entire family would go, with husband and wife taking turns to watch the kids while the other raced. In 1964, after several years competing and enjoying their 356, Pat and Fred were introduced to Porsche’s newest, flat-six-powered sports car. 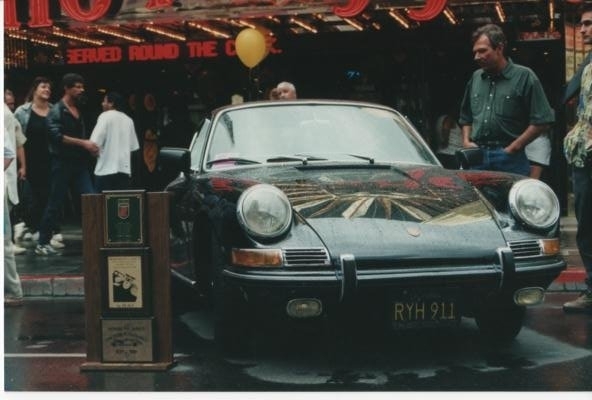 The draw of the 911 had taken hold, and they badly wanted one. Since they had met through family before marrying in 1952, and both were of German descent — the grandchildren of German immigrants — they decided to travel to Stuttgart to pick up a new 911 from the factory. 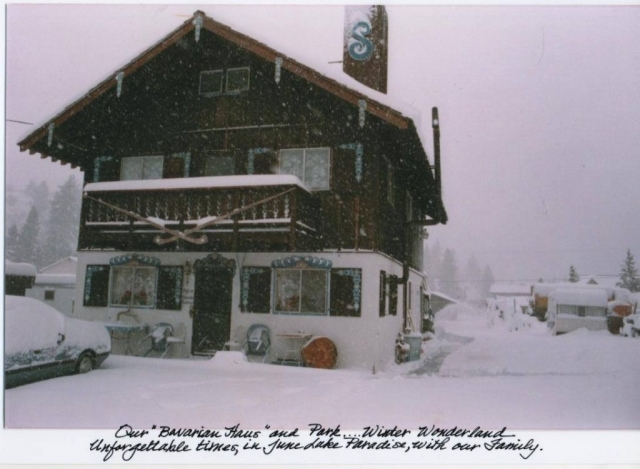 “We felt a connection to the brand because of our ancestry, and we would be the first grandchildren to meet face-to-face [with German relatives] since our family left Germany,” Pat said. 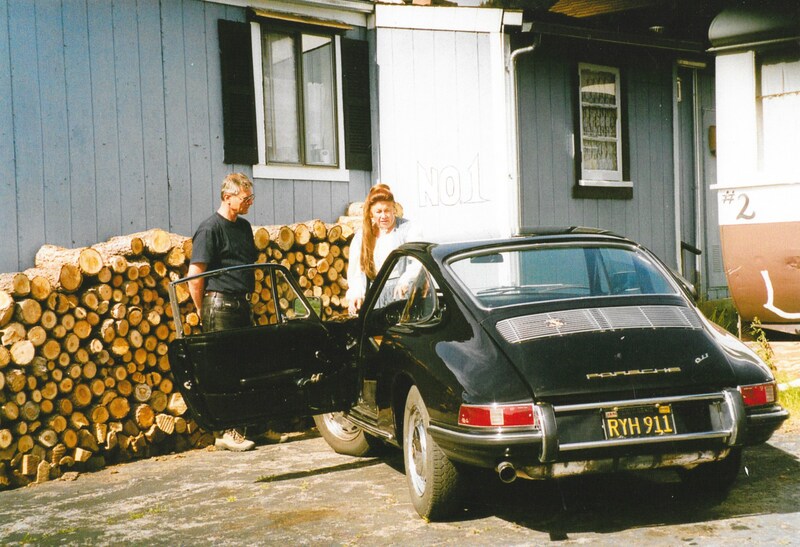 Upon arriving in Germany in 1965, Pat and Fred picked up their brand-new 911. 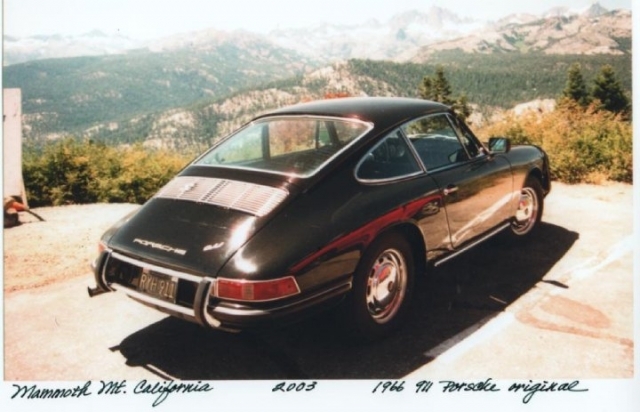 The car was labeled as a 1966 model year, and the VIN number included the number 302 – the 302th Porsche 911 produced. 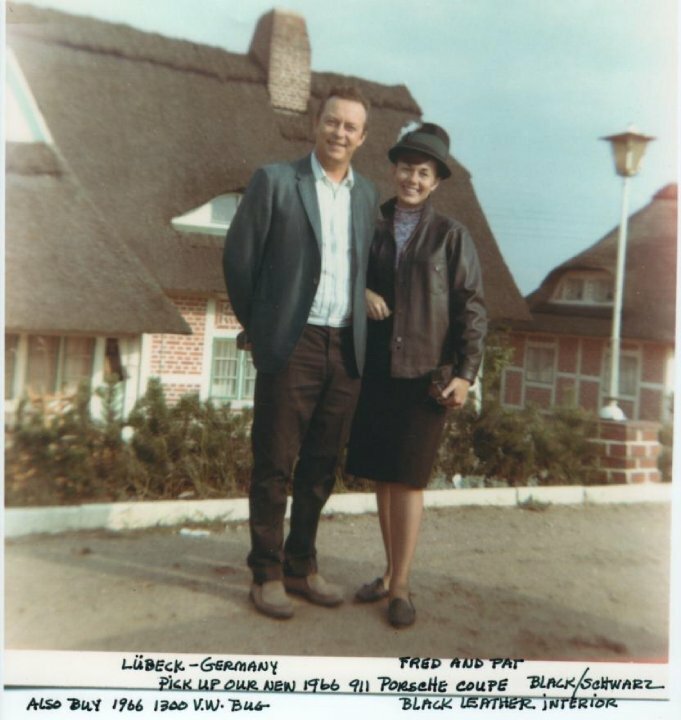 They drove around Germany, met family, and made lasting friends. Returning to the States, they brought home more than just a new car. 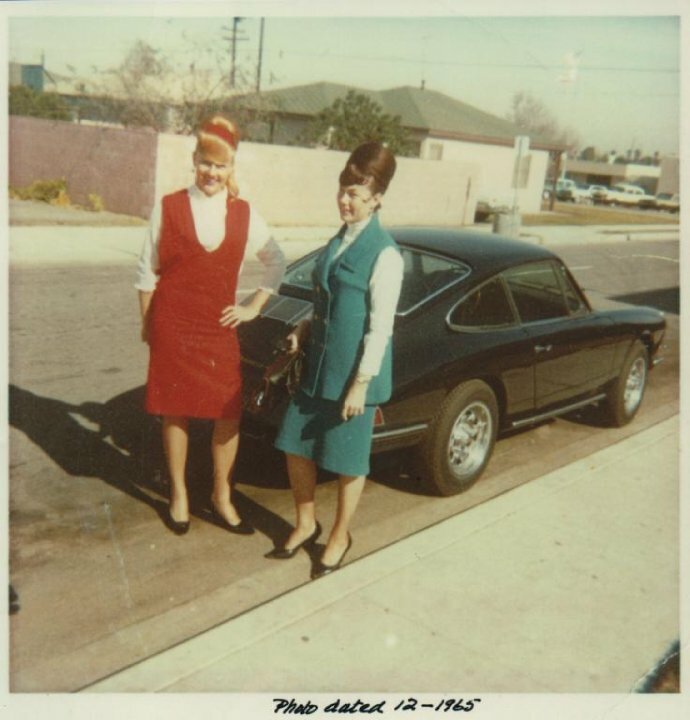 They brought home memories that would shape their future, and, impossibly, an even greater appreciation for the marque that would manifest in the form of a used-car purchase in 1967. 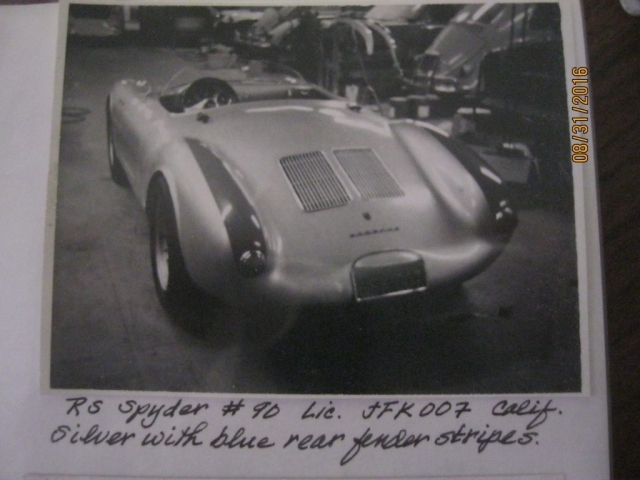 Pat was quick to point out that even though it wasn’t raced, their Spyder was built for racing. 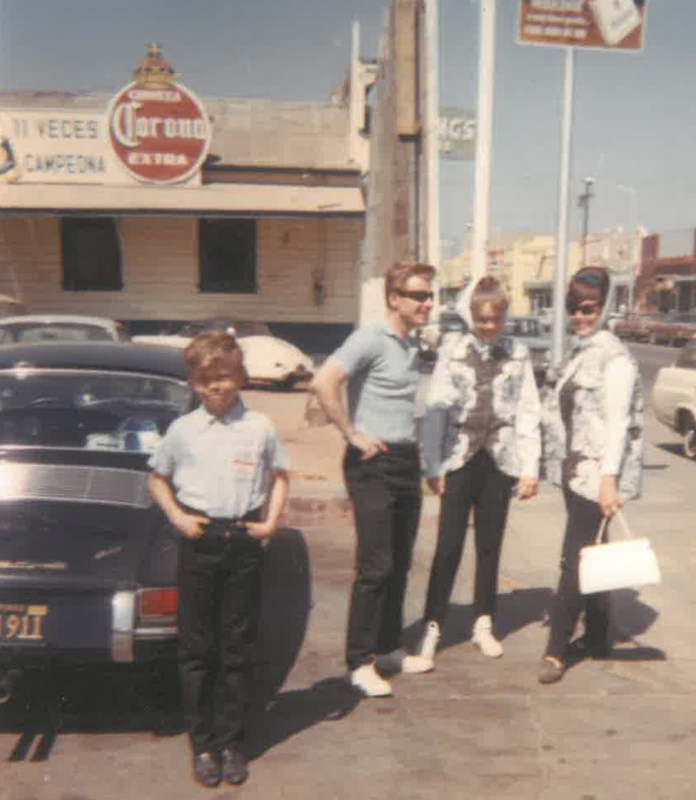 “It was a neat car, but it wasn’t a family car,” she said. 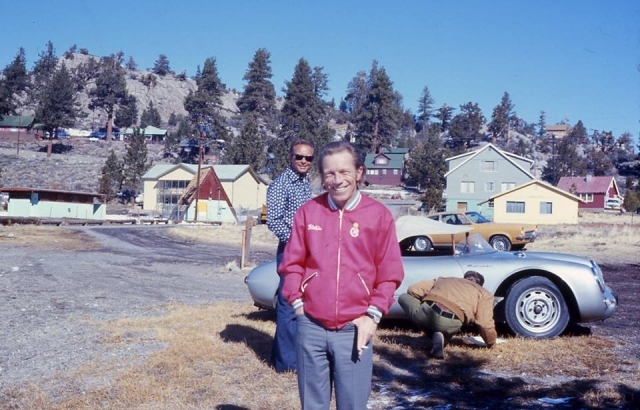 Tired of the fast pace of Los Angeles, Pat and Fred packed up the kids and the cars — including the 550 Spyder and the 911 — and moved to June Lake, just east of Yosemite National Park, in 1968. 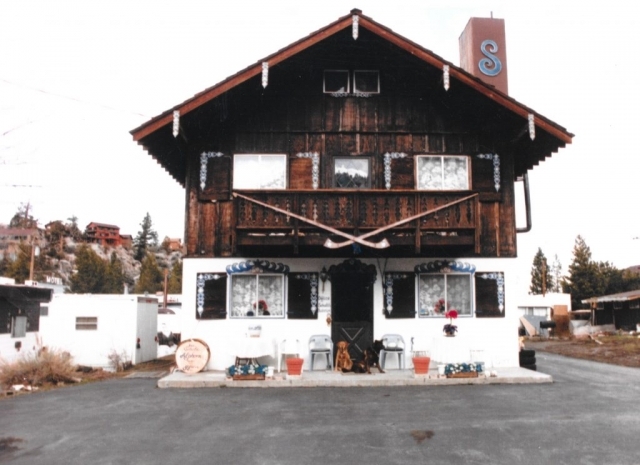 They were looking for a place to create a little Bavaria in their home country. 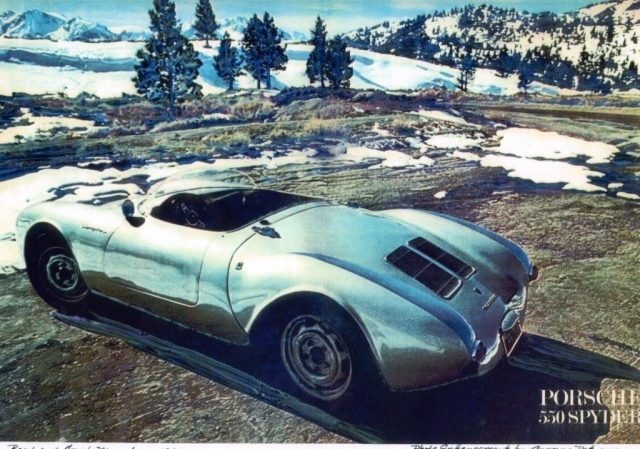 In 1971, Road & Track wanted to publish an article revisiting the giant-killing, four-cylinder 550 RS Spyder — Porsche’s first purpose-built race car — during a season of utter dominance by the automaker’s own contemporary racing “giant,” the 12-cylinder 917. The magazine contacted writer Allan Girdler, photographer Bill Motta, and famous 1960s race car driver Richie Ginther and tasked them with finding a 550 Spyder. A friend of Pat and Fred, Ginther knew who to ask. “Allan, Bill, and Richie came to the house. It was a beautiful day,” Pat remembered. And then they were off, driving the local roads and taking pictures. After the June Lake visit, Motta sent Pat a package of photos he took that were not intended for the magazine — special photos of Pat and her family with the 550. 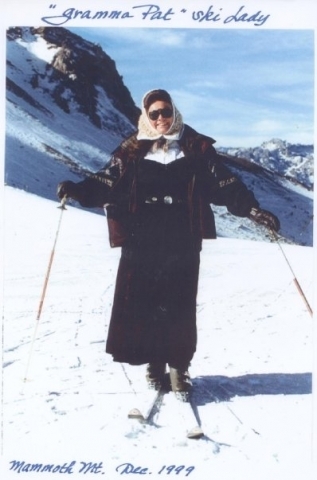 “When Bill was taking pictures, I was wearing my ski instructor sunglasses. He asked if he could take my picture too. 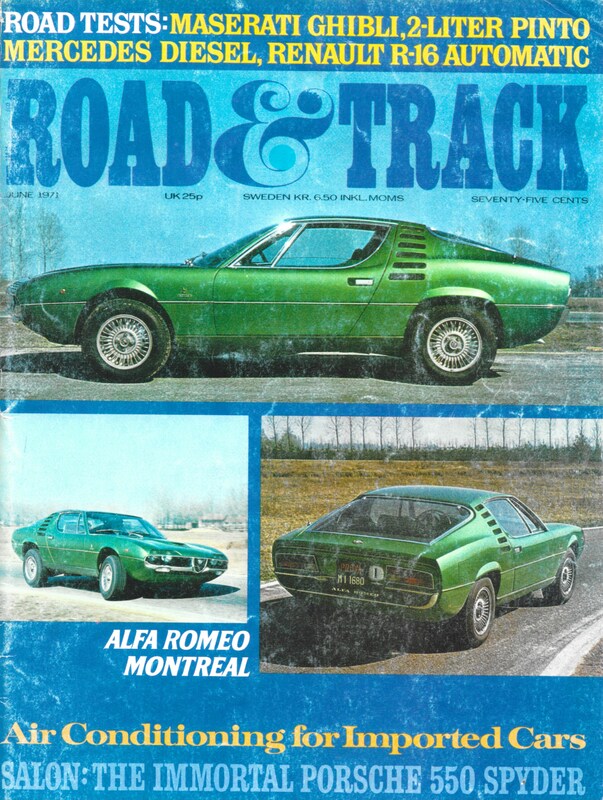 I didn’t see what he saw until he sent me the photos before the article came out in Road & Track,” Pat explained. The photograph Motta took of Pat is now famous in the Sierra Nevada Region. 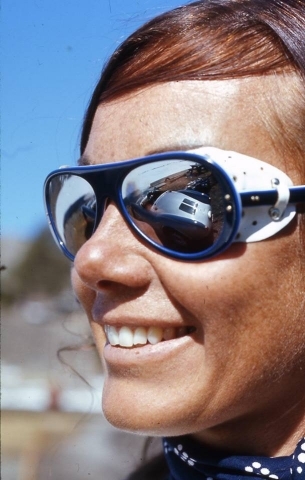 Seen in the close-up image of Pat is the little silver 550 Spyder perfectly reflected in those mirror-like sunglasses. Pat shares the photo regularly, and it has been published in SNR’s newsletter. The car was featured in the June 1971 issue of R&T. The magazine prominently presented the 550 RS Spyder with Ginther driving on mountain roads around June Lake. 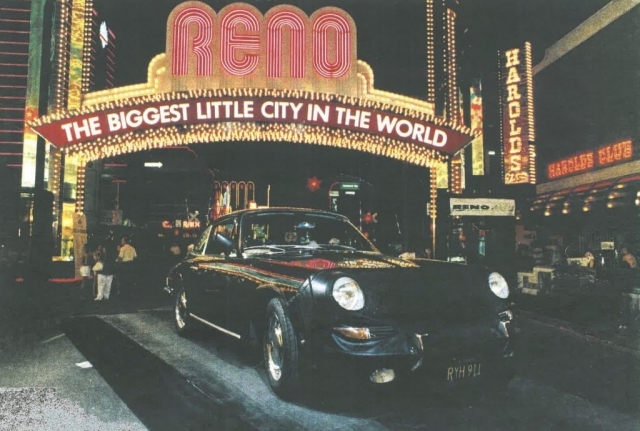 Back in the early 1970s most of the magazine was printed in black-and-white, but this 550 had the honor of a rare two-page color photo spread as well as an in-depth article. Pat has saved the issue as a keepsake for all these years. Shortly after the story was published, the phone rang. 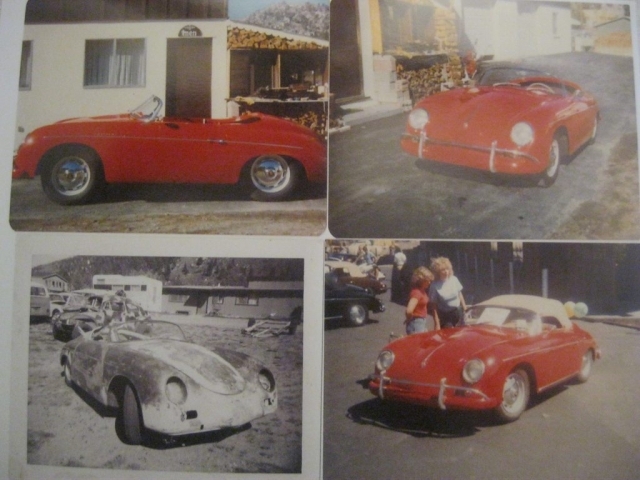 Of course, after seeing it in the magazine, people were interested in buying the car. 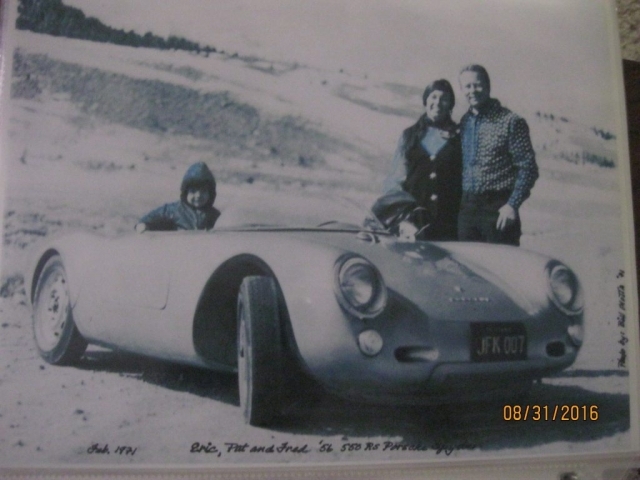 That year, Pat and Fred sold the 550 Spyder for $4,500. 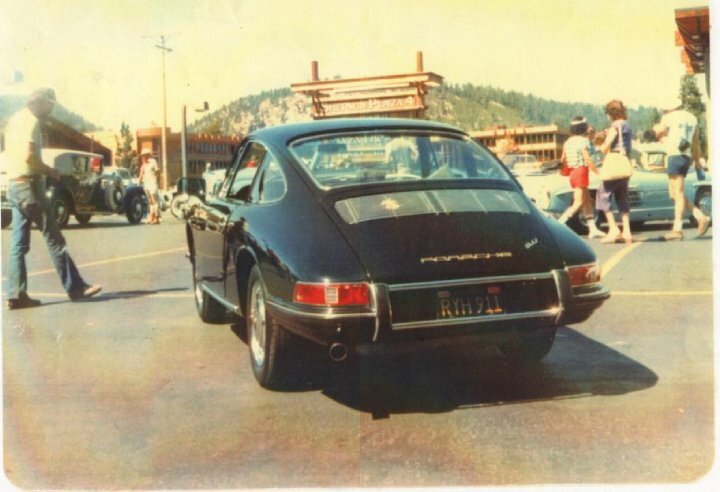 While it may seem an absurdly low price for such an important car, remember this was 1971 and Porsche was still building the motorsport legacy it enjoys today. Plus, that same June 1971 R&T just happened to have in the classified section a restored 1957 550A for sale for $2,950. 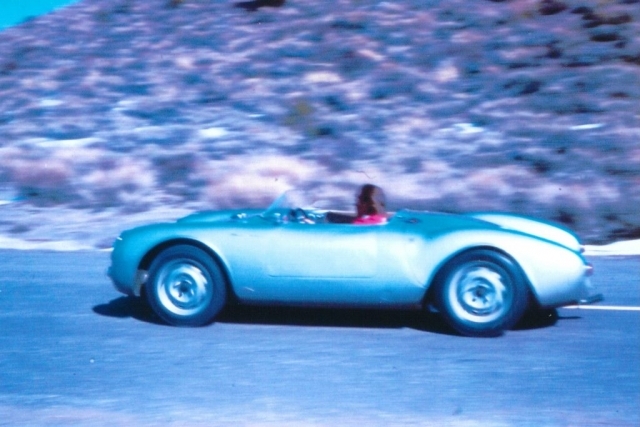 The 550A succeeded the original 550, and the $4,500 sales price for an unrestored, unraced original was seen as a good deal at the time. Forty-five years later, in September 2016, their old 550 crossed the auction block at the Bonhams Goodwood Revival Sale at the Goodwood Motor Circuit in England. The winning bid was a far cry from the price paid for it in 1971: a whopping $6,121,200 — at time of writing, a world record for a 550 RS Spyder. Hearing that the car you sold for $4,500 was now fetching over $6 million could be hard to deal with. But not for Gramma Pat. 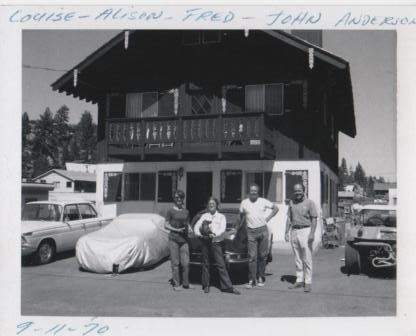 “We used the money to build a three-stall garage to continue Fred’s body and fender work, including specialty work that lasted many years,” she said. 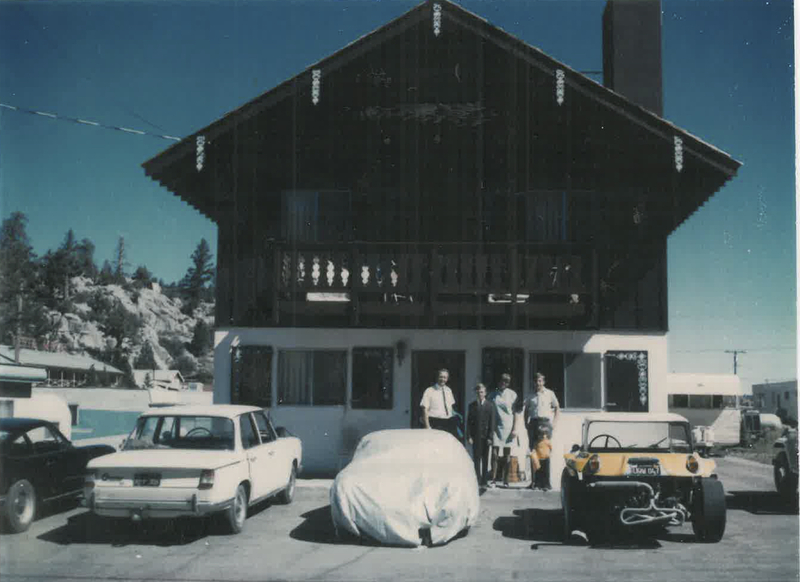 The June Lake “Bavarian Haus,” as Pat called it, and the new body shop provided financial security for a growing family for nearly 40 years. 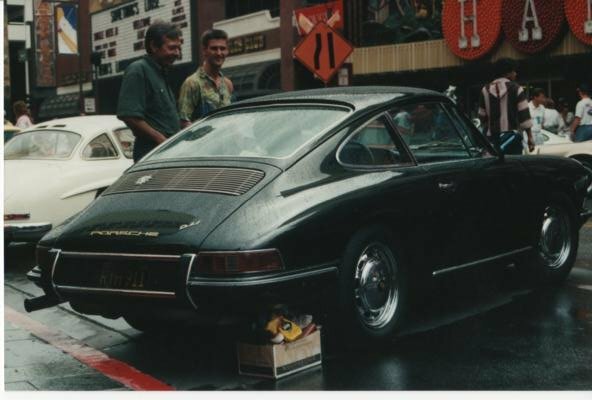 And although they sold the 550, they held on to the 911. 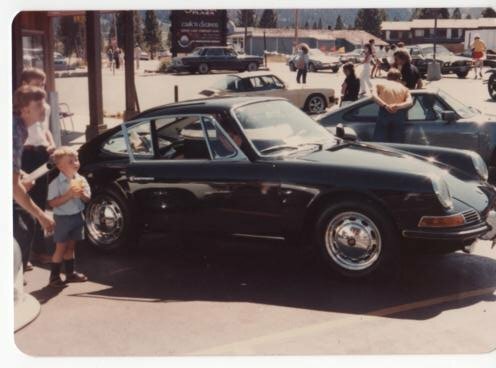 In the early years, the 911 was their family car, with Pat taking the kids to school, running errands and going on family trips. “The kids fit so well in that little back seat,” Pat said fondly. Sadly, in 1994 Pat and Fred separated. 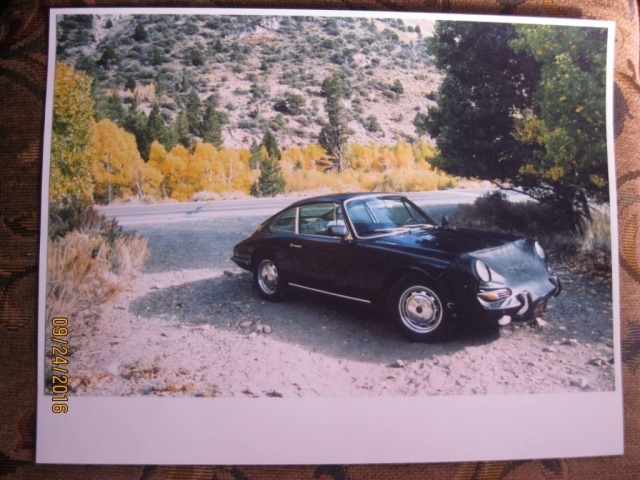 But she kept her 911, which she still owns. Like the 550, the 911 is all original — exterior black and chrome trim, dashboard, leather, carpeting, paneling, and engine. All matching numbers and with only 122,000 miles in 61 years. Pat had the engine meticulously rebuilt 1,000 miles ago by an expert vintage Porsche mechanic. “It sounds exactly as it did in the beginning,” Pat said excitedly. Today, Gail Patricia Bauderer is in her golden years. 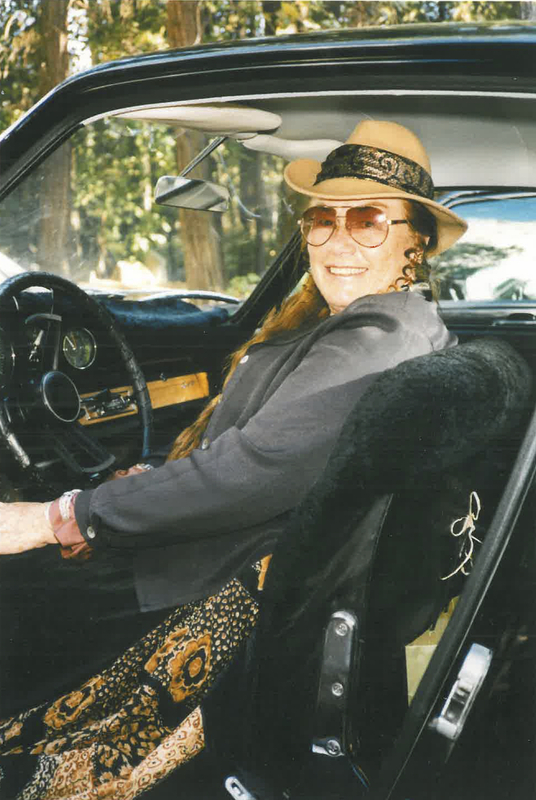 She has been very active in the Sierra Nevada Region, where she tells her family stories and shares her Porsche knowledge with club members. 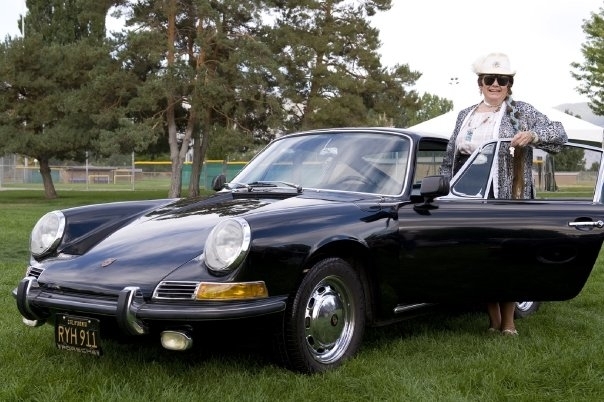 She frequently fills in as the host of “Meet and Greet” events prior to the Region’s concours, where she frequently wins the “People’s Choice Award” for her immaculate 911. 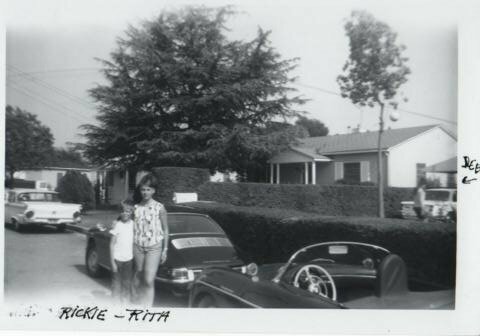 Because of her endearing character, first-hand knowledge of Porsche, and a lifetime of experiences with the marque — plus a willingness to share — she became known as Gramma Pat by the members in her Region. 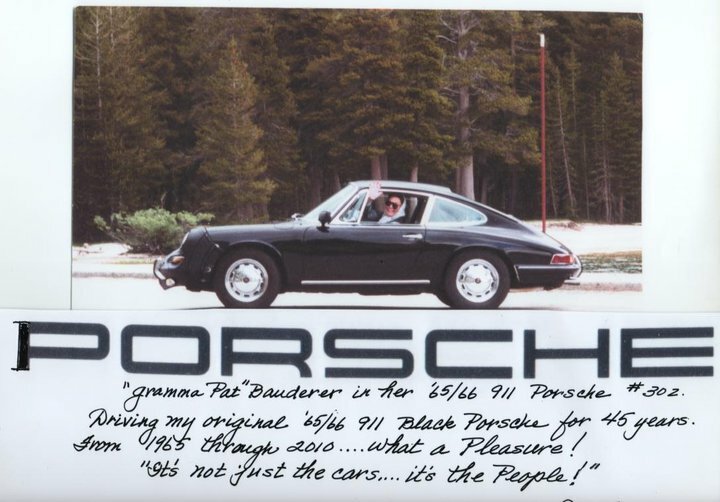 Gramma Pat was honored in the January 2013 The Circular, SNR’s newsletter, with a story about her life and Porsche experiences. The story included a re-creation photo of Pat wearing mirror-like sunglasses with the reflection of a new silver Porsche Boxster Spyder. 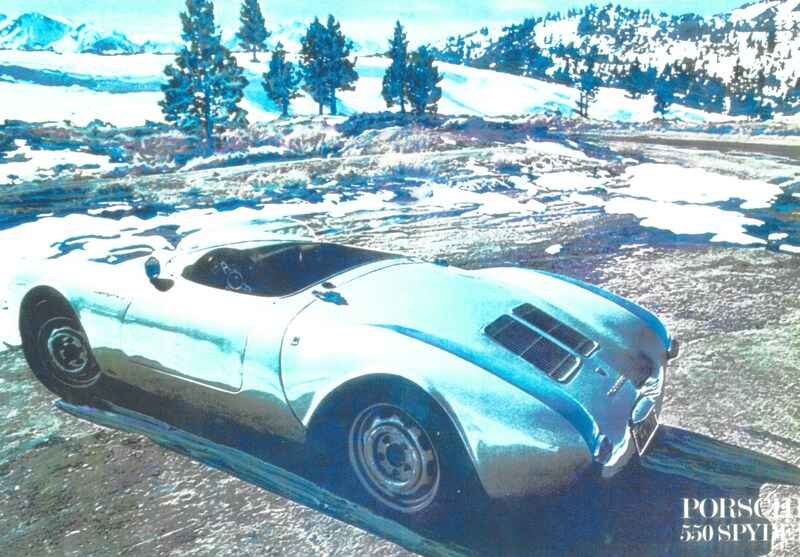 This new photo ran along with the original 550 RS Spyder reflection photo Bill Motta took 45 years ago. But if you ask her about her place in early women’s competitive driving, the ultra-rare 550, or the all-original 911, she quickly turns the conversation back to the people. “It’s the people that make the memories worthy. It’s the people, not the cars. That’s what it is. The car is cool and neat. And because I’ve taken care of that 911 it has brought me into contact with a lot of nice people.” Pat said. 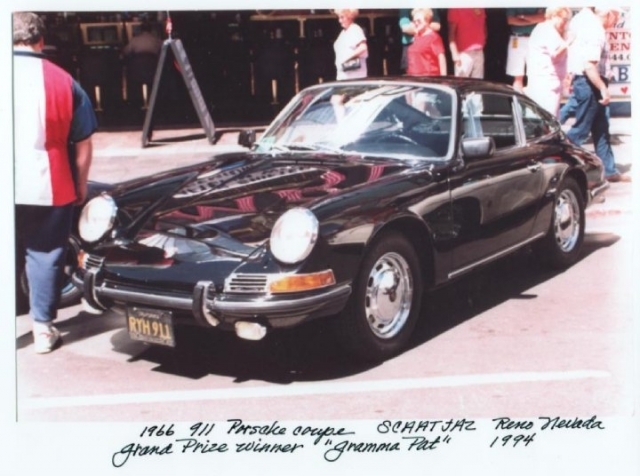 Gramma Pat is likely to get a call from an interested reader of this story seeking her 911. 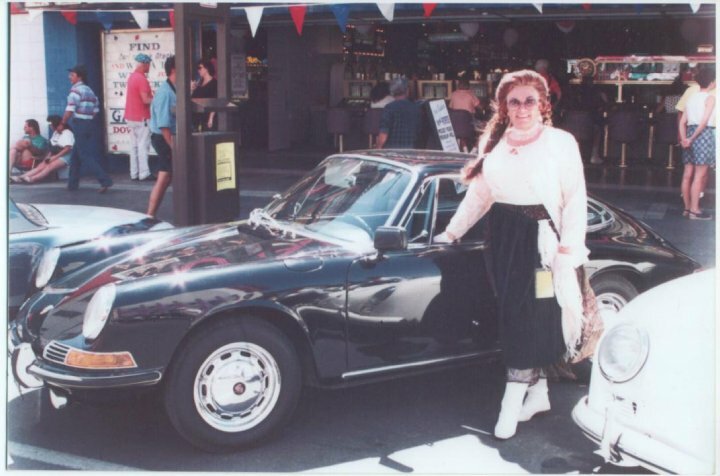 Even though the car is worth a lot of money, she intends to keep it. 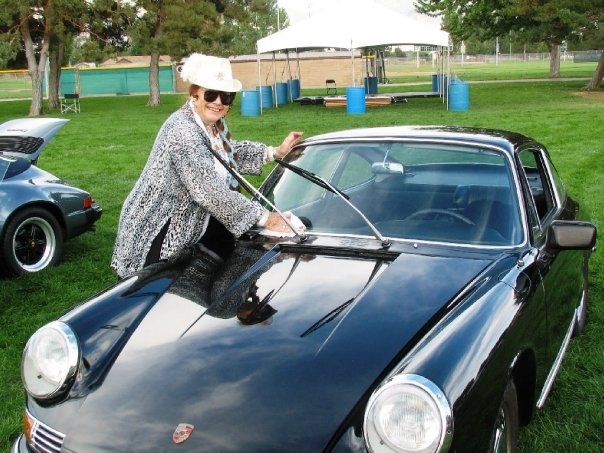 For now, Gramma Pat drives the 911 only on special occasions, to PCA events or autumn drives to Lake Tahoe. She also continues to enjoy her heritage by wearing self-made German-style dresses and hats and dancing the polka at the annual Oktoberfest with long-time friends and family. 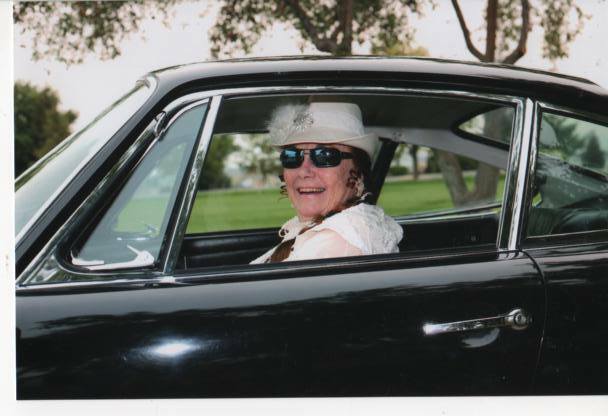 “The car reminds me of all the places I love and my friends over the last 60 years. It is like an old friend,” she said. She and her 911 are sure to meet new people, make new friends, and share new memories in years to come.